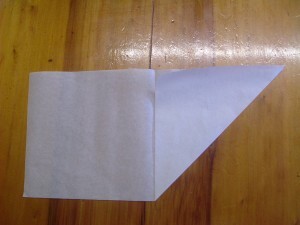 1, Cut a square of greaseproof or baking paper. 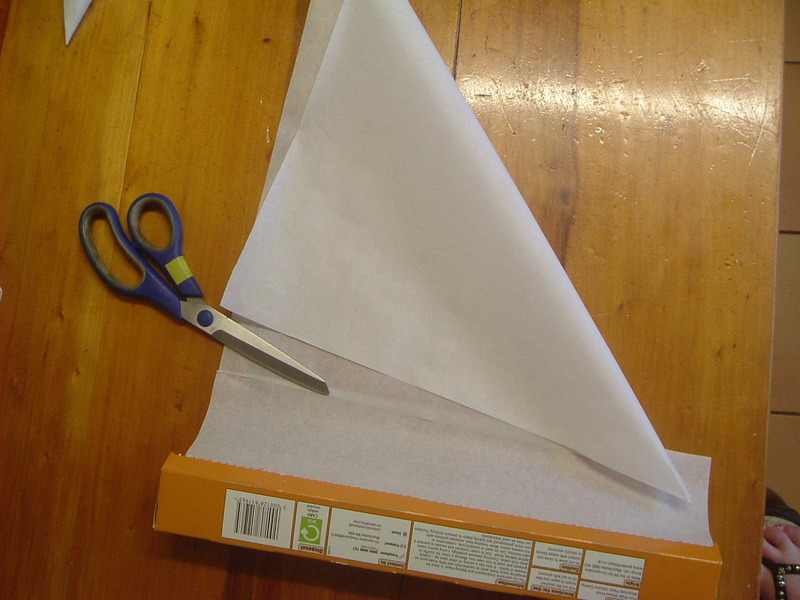 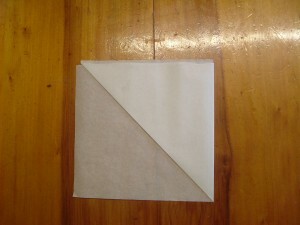 4, Then bring the corner round to meet the base of the sheet at the fold. 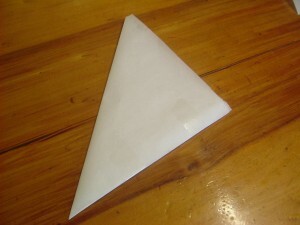 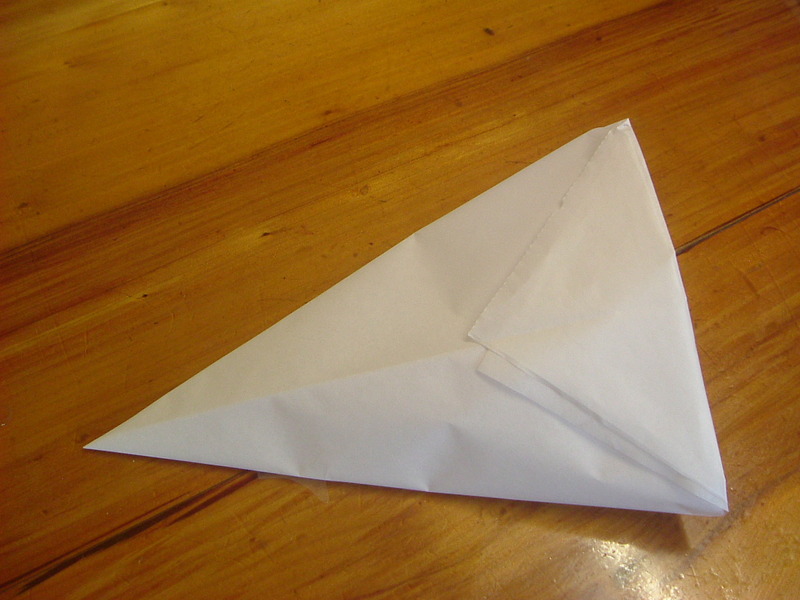 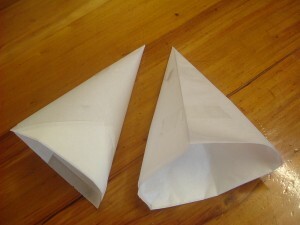 5, Fold this new triangle over to make it match the other side, then fold in the remaining piece. 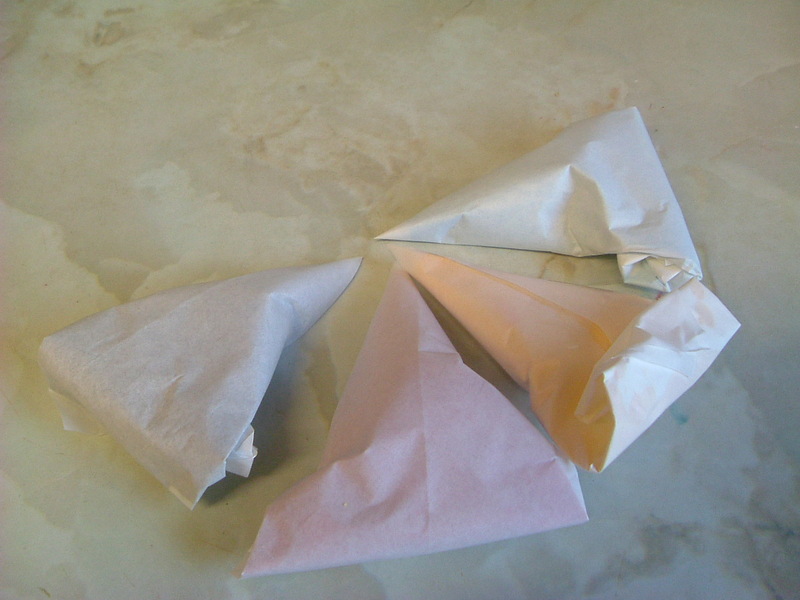 6, Open out the triangle and fold down the long open point to hold the icing bag in place. You can attaches a piece of selotape if you are concerned about it uncurling. 7, After you have put the spoonful of icing in the bag, smooth it down towards the point.